A strange question for the uninitiated. What is a NAS and what sort of food does it eat and how should I be treating it? My focus recently has been all about storage and the space we are each using to store our data. (Whatever that data maybe). From faster drives to access the data to storage solution on the cloud and in the office. It is one of the most important and common questions I am asked. One solution doesn’t meet everyone’s needs. But a combination of solutions is usually what people use and sometimes chaotically with no thought on how this will progress and what the strategy is or should be. So what is a NAS? Well, it isn’t a small creature that keeps you company and helps with your storage and access to data. Well, that is not completely true it does allow storage and access to data in various ways and will cleverly backup said data in different ways. NAS stands for Network Attached Storage. A system of storage media that is attached to your network at home or work. Over the years this type of storage has become more and more intelligent and can literally be a self-contained computer system that runs all your data and data access. It can be a small unit to a much larger unit. Various companies make them and they are, well what can I say I am biased, brilliant. I have used one for business for over 8 years now and it has served me well. I can store data on it and it has internal drives that automatically backup to each other creating what is called a mirror of my data. I also can, and have configured it to back up to a cloud drive and have chosen the important data to back up in this way. So I have offsite data as well. The NAS unit allows me to access it remotely over the Internet, (Through a secure connection), so my own personal cloud drive with access. I can add users and give them a proportion of the space and they can store their data there and we can collaborate on data. This is a lower costs system to having a fully-fledged file server in your office and still allows multiple access by users and storage and remote access. It has a configuration panel that is easy to understand and configure. An admin is appointed and can add users, block users and configure all the aspects of the system. The amount of storage is up to you and your budget. 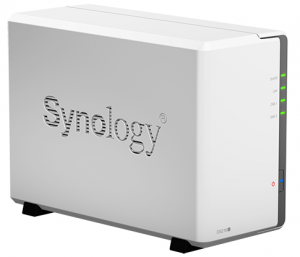 But it can be easy to handle and allow for expansion to a cloud drive or even to add extra space at the NAS unit itself. Remember the biggest asset to any business is data and the importance of data and how easy it is to access it and collaborate using it is important. So if you are considering storage and where it all goes?